If you do not find an answer to your question in the list below, please Contact Us via this website or give us a call. Captain Dan may be reached at (231) 730-2991 while Captain Isaac may be reached at (231) 730-0421. Soft soled shoes. NO WORK BOOTS. Cooler to take home your cleaned catch. Anything you would like to eat or drink. We provide a cooler for you to store your drinks. YES, licenses are required, it is state law. EXCEPTION, persons under the age of 17 are not required to have a license. NO, licenses are available for purchase. Licenses can also be purchased online or at a local sportshop. 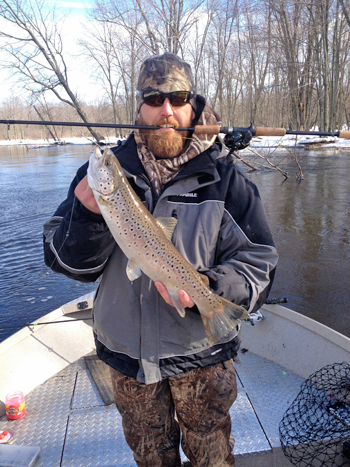 Up to 6 people on Lake Fishing Charters, up to 3 for Guided River Trips. Multiple boat trips can be arranged to accomodate larger groups. YES, your fish will be cleaned and packaged after we return to the dock. What Happens in the Case of Rough Water? We will fish in wind and rain unless the captain concludes that the weather is unsafe and/or the water is too rough. Do I Still Pay If the Trip is Shortened Due to Weather or If I Get Seasick? Yes, due to the expense of taking the boat out and to limited trip availability. What If the Trip is Cancelled Due to Weather Conditions? You will receive a full refund if the trip is cancelled before departure. No, our day starts early and extends long after the charter is completed. 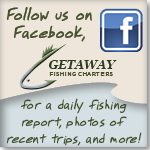 We work hard to provide you with a successful and enjoyable trip. Return to the Our Trips page.